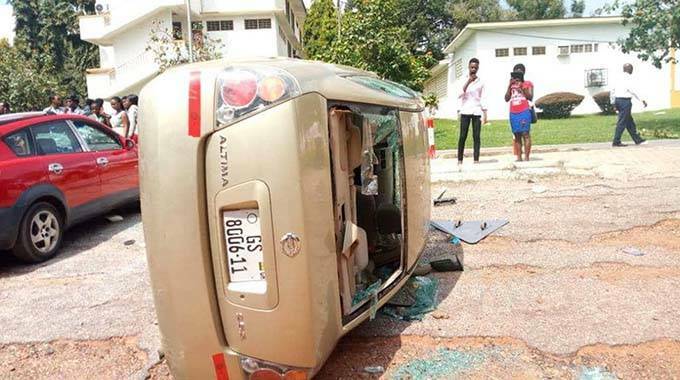 The demonstration by the students of KNUST against the “tyrannical” style of the university administration, turned violent, leading to the massive destruction of public and individual properties. ACCRA. — The Kwame Nkrumah University of Science and Technology (KNUST) has been closed down indefinitely following violent demonstrations by students on the university campus in Kumasi yesterday. The REGSEC has made security arrangements for the foreign students at the university.